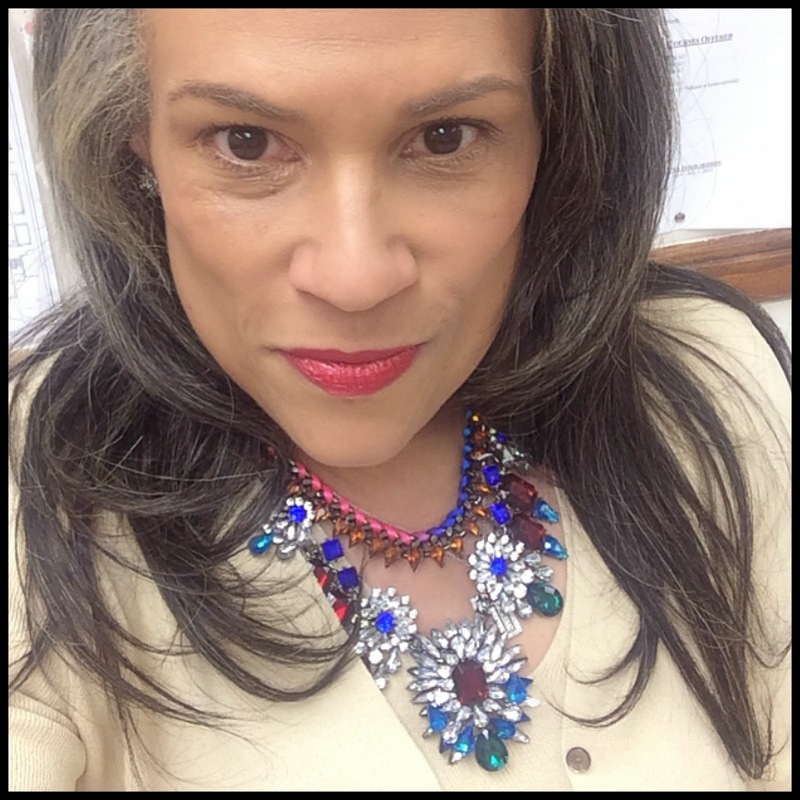 Rae Lewis-Thornton: Diva Living with AIDS: I Love Growing! 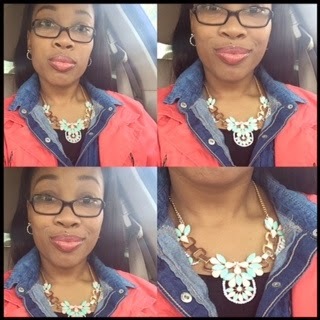 Rae and Tiara Jewelry! I'm proud to announce a new business venture, Rae and Tiara Jewelry. About three months ago Tiara and I were on- line looking at Statement Necklaces. 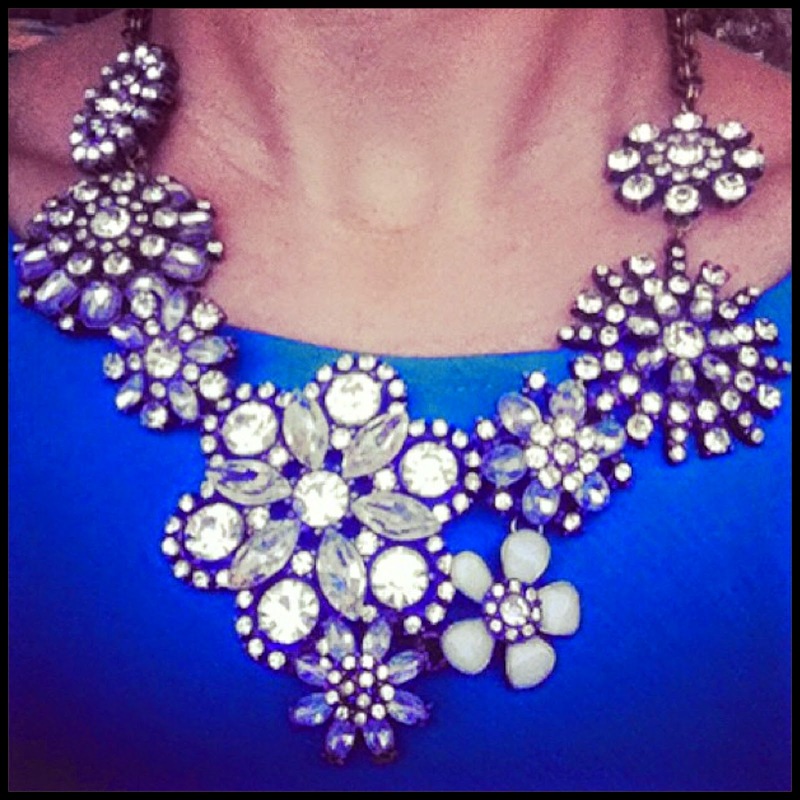 Just off the cuff I said, "We should be selling these necklaces all this money going into looking fab! Tiara knew a way and that Sunday within minutes we had launched Rae and Tiara. I think this is real cool Tiara and I going into business together. I've mentioned Tiara to you on other occasions, but to refresh your memory. Tiara and I met over a year ago when I spoke at her college. She has been helping me mange the Social Media for RLT Collection and from there a friendship was forged; part girlfriend, experts say to live longer you should have a friend half your age. She keeps me young in so many ways, but our relationship is also auntie/niece and I keep her grounded. Her family has adopted me and the rest has been history. Rae and Tiara is a line of Fashion Jewelry. While our focus is on statement necklaces we do intend to add earrings and bracelets to the line. Each price of jewelry is hand picked by both me and Tiara. Our styles are very similar in so many ways but extreme in others. For sure we both love fashion and believe that accessories will make or break your outfit. We will feature necklaces that will range the span of age and style. Like with my handcrafted bracelet line RLT Collection, we intend to have something for every woman! 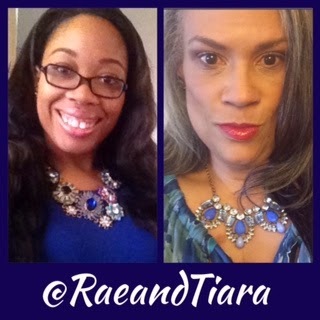 On any given day you will catch Tiara and I wearing our jewelry line. We are only selling what we would wear ourselves. We will have one of a kin pieces, but mostly our pieces will range from 3-10 of one particular design. Making our fashion line affordable was important to both of us so our price range goes from $15.00-$75.00. We wanted both college students and working women to afford our line. We launched the line a few months ago and until now you could only purchase through our Instagram account @RaeandTiara, which is how young people shop. Today we make our line available on RLT Collection's website. All the necklaces are up and ready for purchase, but I am still adding the detail descriptions. We are always adding new additions to the line!! Check us out HERE. And follow our Instagram account HERE!